Yu-Gi-Oh! (2001) on Netflix Ireland. Check worldwide Netflix availability! and thousands of other movies and TV shows worldwide! 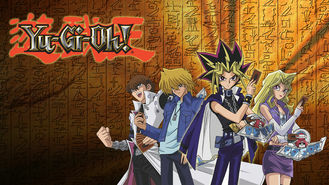 If Yu-Gi-Oh! isn't available in your country, or you are visiting a country where it isn't, there is still a way to watch it! Did you know that you can watch American Netflix from anywhere worldwide? Not only that, but you can unlock the entire Netflix catalogues for USA, Canada, UK, the Netherlands, Germany, and Japan, all of which have hundreds of movies and TV shows that the others don't! Check out the link above for more information. The lives of young Yugi Muto and his friends Joey, Tristan and Téa are forever changed when a fantasy card game becomes their reality. His fantasy game holds all the cards. Once a timid boy, now he and his best buds fight evil. And it's a constant battle.